One of the nicest things about sending the kids back to school is getting everyone into a routine again. The hardest part for many families, though, is trying to manage all the basics - like a solid breakfast! To make life easier, we have put together 5 easy grab-n-go breakfast ideas to send your kiddos back to school with full tummies, ready to focus! As a mom of 3, I’m loving being able to heat up Umpqua Oats oatmeal for my teens before they drive themselves to school. They’re always in a hurry so I just pick a flavor (the banana walnut is a fave right now), add blueberries or a dash of shredded coconut on it and send them out the door. Our 10 year-old tends to move about as fast as a snail on school mornings and rarely finishes his breakfast, so I always pack a This Bar Saves Lives and a Go-Go squeeze (apple!) for a mid-morning snack. I’m personally addicted to these bars, too so we always have them around. I really love that for each bar they sell, they donate one to a child in need. 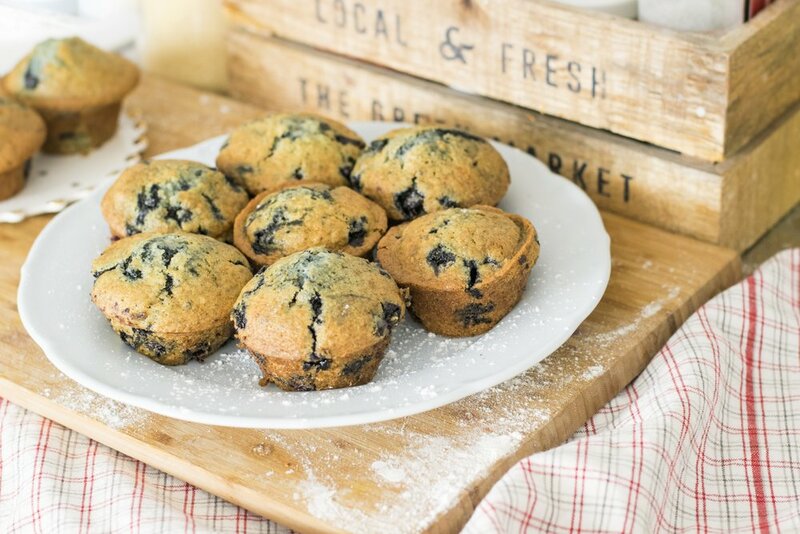 Your Umpqua oats can work double duty if you throw them in a batch of blueberry oatmeal muffins on Sunday and send the kids out the door with a muffin each morning! Jordan Page, of Fun, Cheap or Free, (and last years Start Loving You Keynote speaker) swears by these freezer smoothie bags - she dubs the "make ahead breakfast-of-champions". How cool is it that Umpqua Oats happened to be started by a couple of Oregon moms with the same idea in mind - to get their kids a yummy, healthy and quick breakfast?! Thank you to Founders, Sheri Price and Mandy Holborow, for thinking outside of the box (cereal box, that is!). Newer PostKelsy's Favorite Health & Beauty Products!